We’ve all taken the odd selfie here and there, and while the cameras are getting better, LG’s next approach might be to make your selfie 3D and offer strong 3D-based security, all thanks to a new camera. Mobile World Congress hasn’t yet begun, but already we’re seeing some of the news trickle out. It’s not unusual for phone makers to get in early and make some news, and that’s exactly what LG is doing, talking up some of the tech in its upcoming G8 ThinQ smartphone, the next in its long-running “G” series of flagship phones. We don’t yet know everything, but we do know that on the front, LG will be using a new type of camera we’ve seen on one phone already: a time of flight camera. Also shortened to “ToF”, time of flight cameras are essentially a form of 3D depth scanner that uses infrared light to measure distance. The technology is fairly new, but already one released smartphone has it built in, seen in Oppo’s R17 Pro. That was found on the back camera, different to what LG is planning by throwing it onto the front. 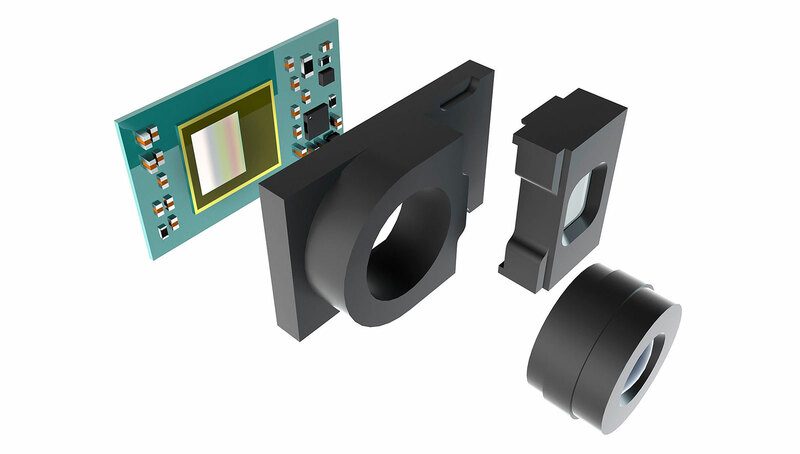 The sensor for the front-facing camera with a ToF (Time of Flight) camera. LG’s approach could definitely change things, with a Time of Flight camera possibly bringing not just 3D selfies, but also strong facial security, relying on 3D scanning to let you log into your phone, similar to what Apple achieves in its Face ID systems on the iPhone X, iPhone XS, iPhone XS Max, and iPhone XR. “Keeping in mind LG’s goal to provide real value to its mobile customers, our newest flagship was designed with ToF technology from inception to give users a unique and secure verification system without sacrificing camera capabilities,” said LG’s Chang Ma. As to what the rest of those camera capabilities will be, we can only guess, but given the trend was for three cameras at the end of last year, we’d suggest something like that is coming, alongside a new chip, new screen, and some other features we’re probably not expecting. Mobile World Congress is only a few weeks away, though, so it won’t be long until we find out what else makes LG’s G8 ThinQ tick, as well as any other phone intended to make a big splash this year.